Base with pivot and rubber absorbers. 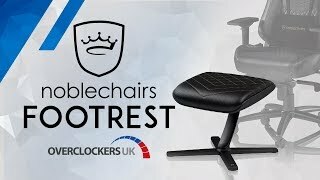 More links for "Footrest - Black/Blue"
Arrived on time, footrest is brilliant quality and is the perfect addition to my chair. Thanks Overclockers for the fast next day delivery!